It’s been too long to remember probably. Therefore we will help you out. We had some previous episodes of Bello Goes Freestyle on this blog in the past. It all started with episode 1 in 2007, where Dutch graffiti artists interpreted Bello on a wall. This freestyle interpretation of Bello was followed 2 years later with episode 2. Then 3 years ago we posted episode 3, about a selfmade lettering in a bikeshop in Toronto. And today, oh boy, it’s 2016, we are happy to present the 4th episode of “Bello Goes Freestyle”. There are quite some do-it-yourself versions of Bello around, but this one especially appeals because of its dedication. In last weeks post you could read about the consequences of removing a mural, originally made by graffiti artist Maser. 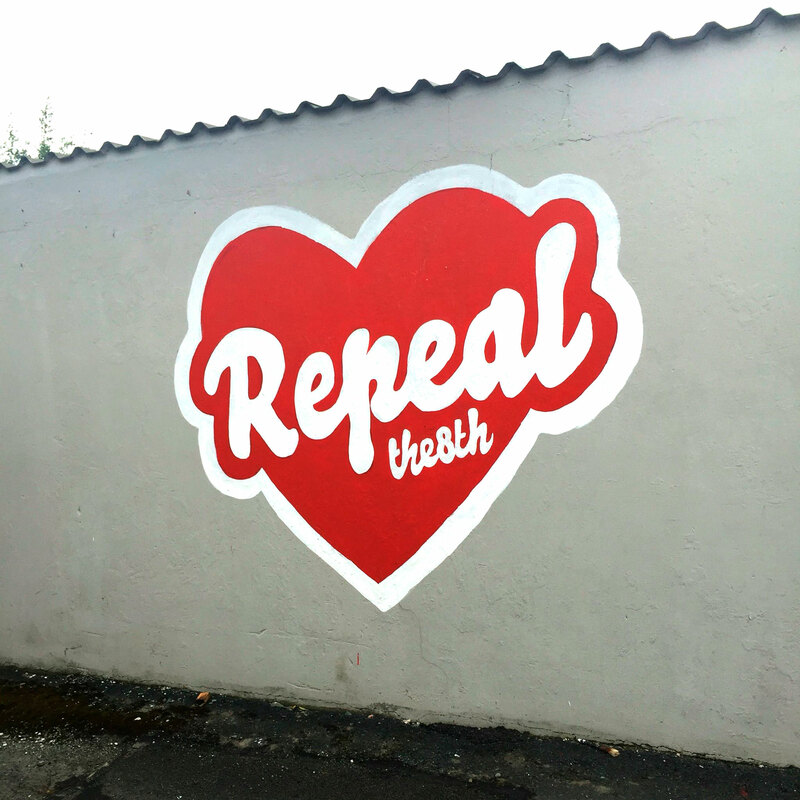 One of the consequences was that the removed mural was resurrected at other locations throughout Ireland. That’s hipper-dipper for graffitis or murals, which are temporary by nature. This mural is not vanishing, but multiplying. Some of the replicas were very smooth. This one however is a bit fluffy and chubby, but painted with lots of love. Disguised, but still Bello.